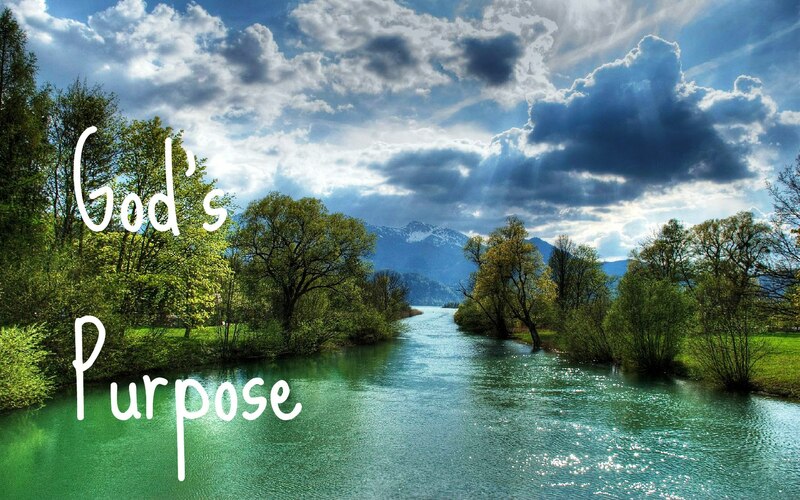 God’s purpose – I Am Not Ashamed Of The Gospel Of Christ! Christ was sent to destroy the works of the devil,and it was this purpose that allows us the forgiveness of sin by genuine repentance! (1 John 3:8-16). 8 He that committeth sin is of the devil; for the devil sinneth from the beginning. For this purpose the Son of God was manifested, that he might destroy the works of the devil.9 Whosoever is born of God doth not commit sin; for his seed remaineth in him: and he cannot sin, because he is born of God.10 In this the children of God are manifest, and the children of the devil: whosoever doeth not righteousness is not of God, neither he that loveth not his brother.11 For this is the message that ye heard from the beginning, that we should love one another.12 Not as Cain, who was of that wicked one, and slew his brother. And wherefore slew he him? Because his own works were evil, and his brother’s righteous.13 Marvel not, my brethren, if the world hate you.14 We know that we have passed from death unto life, because we love the brethren. He that loveth not his brother abideth in death.15 Whosoever hateth his brother is a murderer: and ye know that no murderer hath eternal life abiding in him.16 Hereby perceive we the love of God, because he laid down his life for us: and we ought to lay down our lives for the brethren. ‹ Ancient Gods Are Alive And Well, Whom Do You Worship?